Craigmore Station is situated 25 minutes drive west of Timaru. 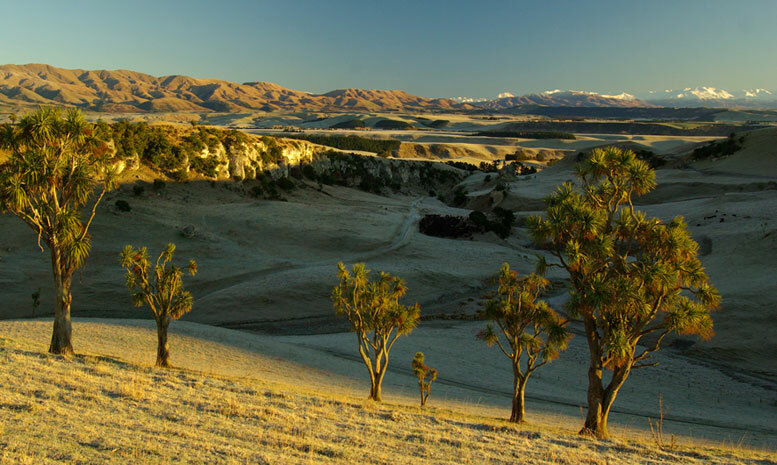 Craigmore Station is a 4,200 ha (10,300 acre) farm located in the foothills of the Southern Alps. It is managed by David and Miriam Bielski and owned by the Elworthy family who have farmed the same land since 1864. Craigmore supports sheep (grown for lamb meat production as well as wool) , deer and beef production. There is a total of 22,000 stock units out of which 50% is sheep , 25% deer and 25% cattle. The deer are primarily grown for venison, however velvet antler is harvested for export into Asian traditional medicine markets. The Angus Steers are sold to 5-star, lamb is sold to Silver Fern Farms and also deer which are sold for specialist markets in America and Eastern Europe. The property is managed using sustainable principles; minimising chemical usage and carefully nourishing the soil. We also want to reduce the amount of fertiliser we put on, especially when it comes to nitrogen. We focus on building bio-diversity areas, eg fencing off wetlands and sensitive areas and planting them in native trees. Currently we have over 100ha of covenants and trees on Craigmore Station alone. Average rainfall is around 600mm on the valley floor and 700mm on the top of Craigmore Hill. The valley is 100 metres above sea level, the hilltop is 300. Rainfall is variable. The biggest rainfall months are November-January. Soils on the core Craigmore-Cleveland property are approximately half limestone (naturally fertile soil with a low requirement for fertiliser) and the other half divided between loess-clays and some light river flats.